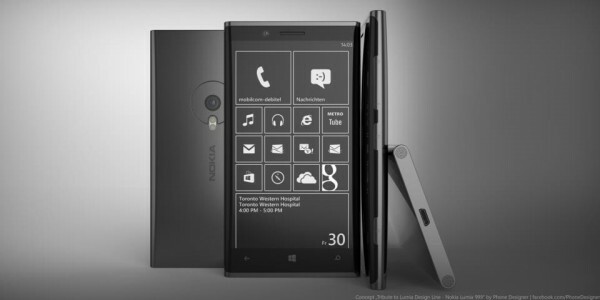 Nokia Lumia 920 is known for its high durability and it does not mean that you cannot break the device by any means. 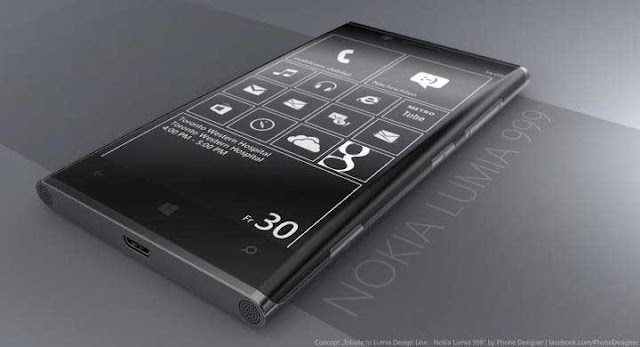 We have already seen some torture tests for Nokia Lumia 920 like the one involving AK-47 Rifle or the one involving hammer, knife, etc,. 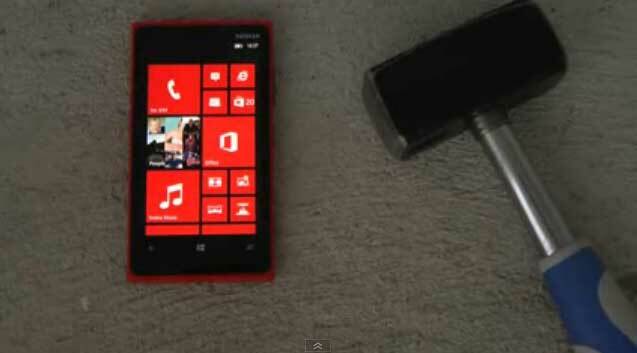 Above video was an another hammer test in which Nokia Lumia 920 was tortured to death by using huge steel hammer. Even though the display breaks soon, the solid construction of the device withstands until the last. 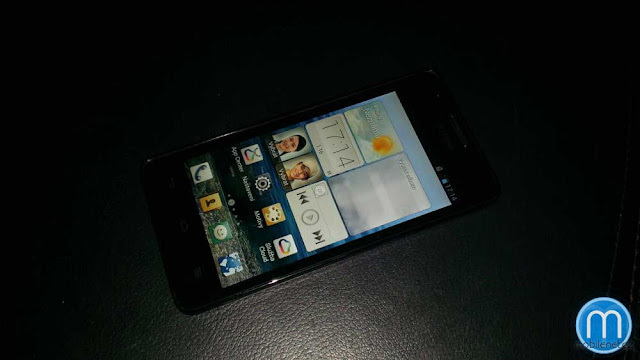 After it slipped under our radar at CES last week, the Huawei Ascend G510 is once again making its internet rounds. This time the photos come from a Huawei event in the Czech Republic, where the company showcased its latest mid-range offering again. Built around a 4.5-inch IPS display with a WVGA resolution (854 x 480 pixels), the G510 packs a 1.2GHz dual-core Mediatek MT6577 chip with PowerVR SGX531 GPU and 512MB of RAM. 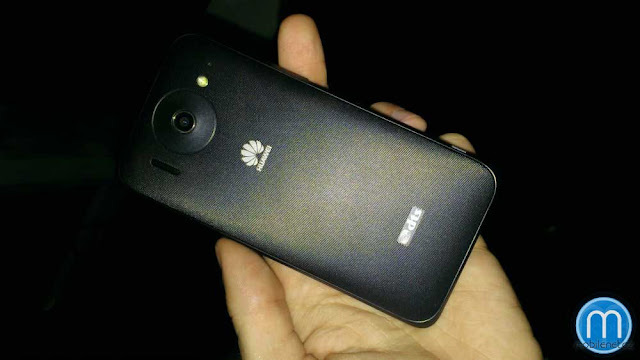 The phone runs Android 4.1 Jelly Bean and sports tow cameras, a 5MP with LED flash at the back and a 0.3MP at the front. The G510 measures 134 x 64.7 x 9.9 mm and weighs 150 grams. 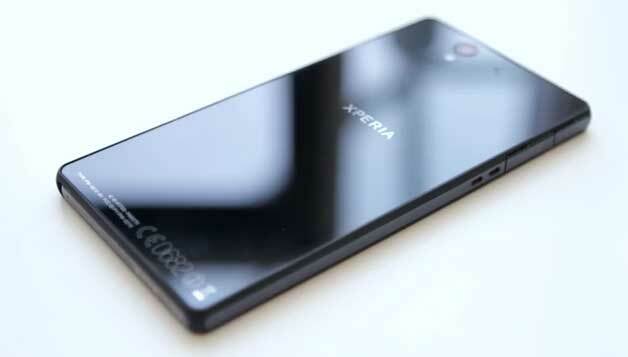 The internal storage is merely 4GB, but it is expandable via the microSD card slot. Sadly, the battery isn't anything to write home about with its capacity of 1,700mAh. Unlike the Ascend G520, which is destined for the Chinese market only, the Ascend G510 is going to hit Europe and eventually more markets. 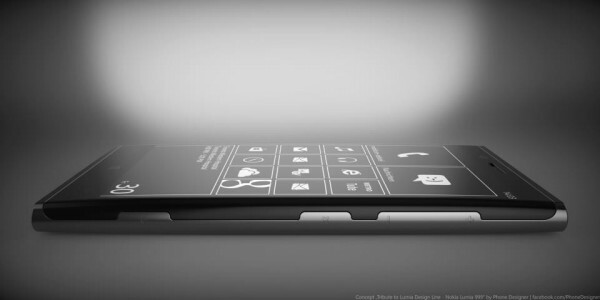 The phone should become available this spring for around 200 euro. 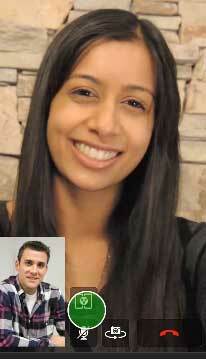 PCAdvisor have posted this video review of the Google Nexus 4 vs the Nokia Lumia 920. 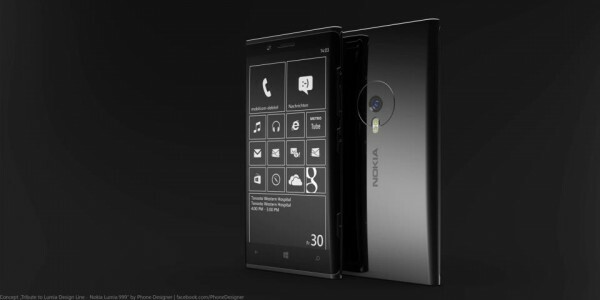 The Nokia Lumia 920 has a number of advantages over the Google Nexus 4, including better camera, more storage, better screen and being more durable. The last bit is however not really acknowledged in the review, despite the many broken glass backs on the Google Nexus 4. The biggest advantage to the Google Nexus 4 however is its price – at £279 for the 16 GB version and £239 for the 8 GB version the handset is more than half the price of the Nokia Lumia 920 – evidence of deep subsidization by Google. 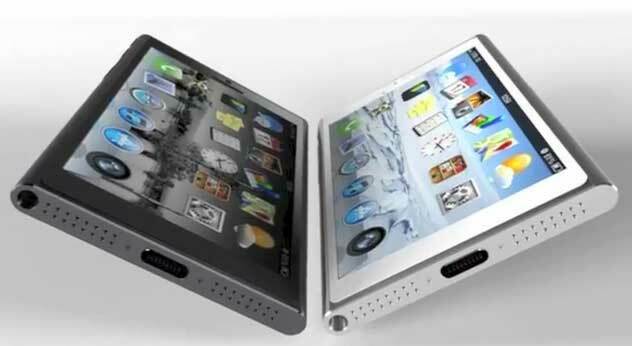 Flexible screens? Check. Flexible chassis and PCBs? Check. Flexible batteries? Checked now. 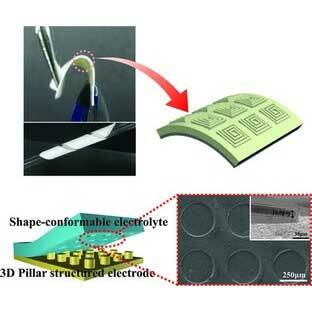 Korean researchers have come up with a process to make "a class of imprintable, bendable, and shape-conformable polymer electrolyte with excellent electrochemical performance in lithium battery system." These can be sprayed on electrodes, then baked with UV rays for about 30 minutes to create power units - much faster than the traditional way of making lithium-ion cells. Conventional lithium-ion batteries that use liquefied electrolytes had problems with safety as the film that separates electrolytes may melt under heat, in which case the positive and negative may come in contact, causing an explosion. Because the new battery uses flexible but solid materials, and not liquids, it can be expected to show a much higher level of stability than conventional rechargeable batteries. The kicker compared to some other flexible batteries we've seen, and even conventional batteries - these are stable, even under high temperatures, and easier to manufacture, which is crucial for production versions of the bendy power cells. Stanford also has come up with a non-rigid battery, which you can see demonstrated in the video below, but the new invention sounds much easier to place into a shape-shifting phone at some point. We've seen the leaks over and over again, but this is the real deal. 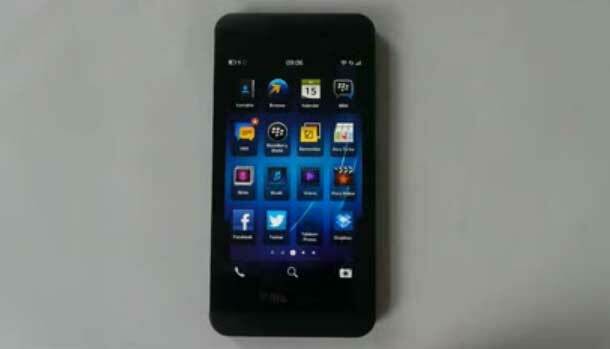 Here's a lengthy video demo of the upcoming BlackBerry Z10 in its full glory. 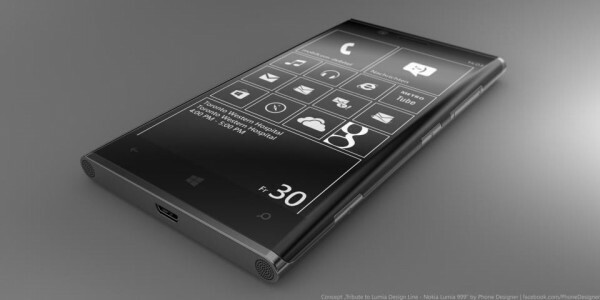 It's not an official demo, of course, we doubt we'll see one before RIM's unveiling event on January 30. But still, it's as good as it gets. 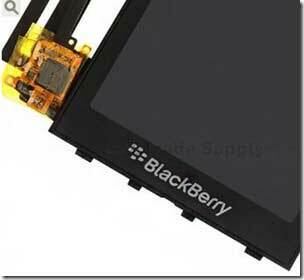 In fact, the 7 minutes worth of footage show the hardware and software of the BlackBerry Z10 (if that's the correct retail name at all) in such detail that we may as well stop reporting any future leaks before the announcement. Just kidding, alright? The only downside to this clip is that the narrator speaks in German, which kinda leaves you without the first-hand commentary, if you are not fluent in the language. But hey, the action on the screen is more or less self-explanatory. Of course, you shouldn't miss the the specs. The narrator mentions that the BlackBerry Z10 has a 1280x768px 4.2-inch screen (which kinda contradicts with the 4.3-inches we've heard before) and an 8 megapixel camera with a LED flash. 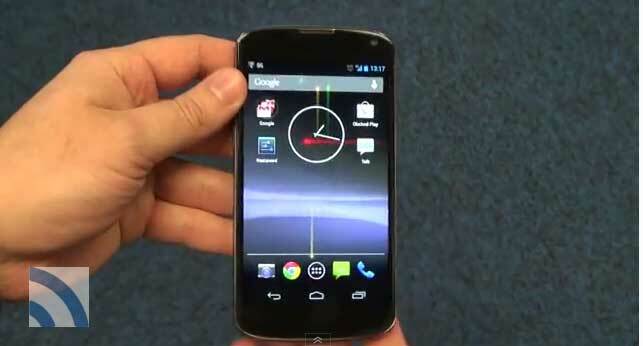 It runs on a TI OMAP4470 chipset with 1.5Ghz dual-core processor. There's 2GB RAM and 16GB storage. 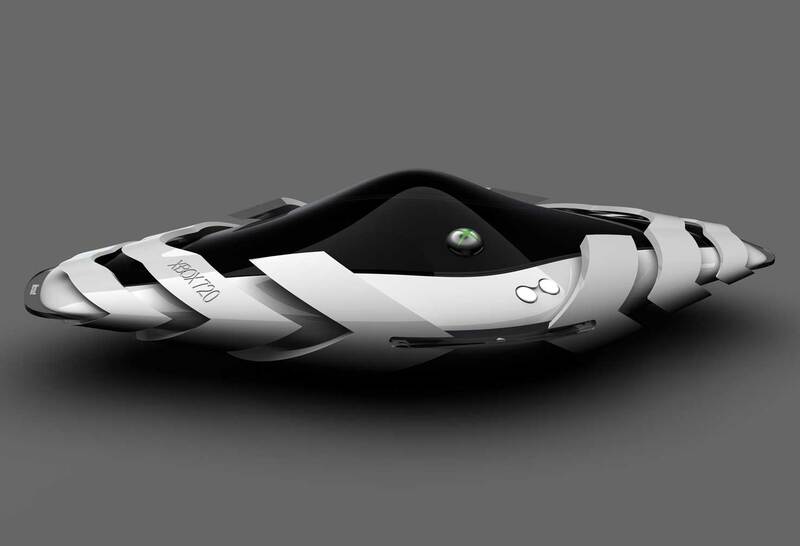 The smartphone weighs only 125g. Sony and Microsoft are preparing "special Apple-style press conferences" to reveal their next-generation consoles "near the Game Developers Conference in late March", a new Game Informer report has alleged. The magazine suggests that both platform holders will reveal the hardware around GDC, which takes place in San Francisco between March 25-29, before showing off next-gen titles at E3. "We hear that both Sony and Microsoft are targeting special Apple-style press conferences to unveil their platforms near the Game Developers Conference in late March," reads the report in the magazine's February 2013 issue. "E3 in June may be the industry's biggest event, but both companies want to give their systems their own limelight. "That doesn't mean E3 won't be without its surprises. Next-gen games will be announced at the convention in preparation for the systems' release at the end of the year." The magazine also suggests that PlayStation 4, rumoured to be codenamed Orbis, may be targeting a release ahead of Microsoft's next-generation Xbox. "We hear that Sony in particular is determined not to come out last this time like the PlayStation 3 did this generation, so we'll have to see how soon it can get the PlayStation 4 out the door, and whether Microsoft is motivated to prevent this from happening." The report appears to contradict comments allegedly made by Sony Home Entertainment VP Hiroshi Sakatomi during last week's CES. 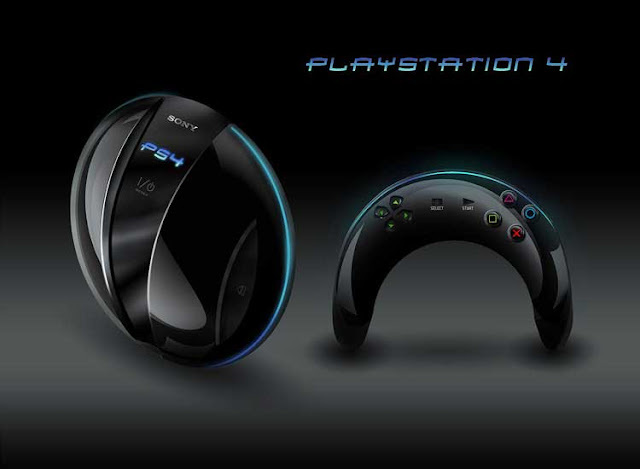 The exec suggested that the imminent reveal of a next-generation PlayStation was indeed on the cards, but that the firm would be waiting until "May at least" for its announcement. Certain developers are expected to have received devkits for Sony and Microsoft's next-generation systems already. Back in November, the founder of Just Cause 2 developer Avalanche Studios tweeted that the studio was shipping back Xbox 360 and PlayStation 3 devkits to make room for next-generation consoles. 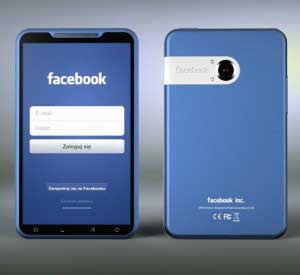 You must have heard by now that Facebook is launching its own cell phone! But there has been no official confirmation from Mark Zuckerberg and in separate occasions he has completely denied it. But after all these, 15January is going to see some special news and we still don’t know the topic. Is Facebook initiation a new operating system, or is it going to launch an entire range of gadgets, like smart phones- we are left to speculate. Will it use a modified OS that has been already tried by Kindle Fire? All these are all possibilities and nothing has yet been able to know regarding the agenda of the Press Release. There is surely an OS from Facebook on HTC. The benefit of this OS is that you get better socializing experience with Facebook. The idea has worked as some confirm but sure some alterations will be necessary. Is it an advanced version of the same OS? Too many questions ringing in the mind of the aficionados! But we will have to wait till tomorrow to see the real picture. Maybe the press conference is going to reveal something else and not the Facebook phone or OS. Sony’s Xperia smartphones come with a fairly light skin on top of Android, and one part of it - the Timescape social network integration tool - has remained constant in the last three years or so after its debut in the Xperia X10. Now, that signature feature of Sony smartphones might disappear or rather transform into the brand new Socialife app coming with the newly introduced Sony Xperia Z. The tool looks somewhat similar but differently formatted. Instead of seeing an image of a particular post as the background to its text, in Socialife the image is positioned on the right while the text is on the left. Socialife first appeared on Sony tablets and is making the jump from bigger screens to smartphones. The new app is divided into three sections. First, you have the My Stream home panel aggregating content from your Facebook and Twitter accounts, then Discovery mode for finding out new news sources and finally Favorites where you keep your bookmarks. We saw a number of reports about the new batches of the Nexus 4 shipping with Android 4.2.2 instead of 4.2.1 recently, like the one coming from Brazil, where LG has a mobile phone factory that assembles the handsets for shipment. 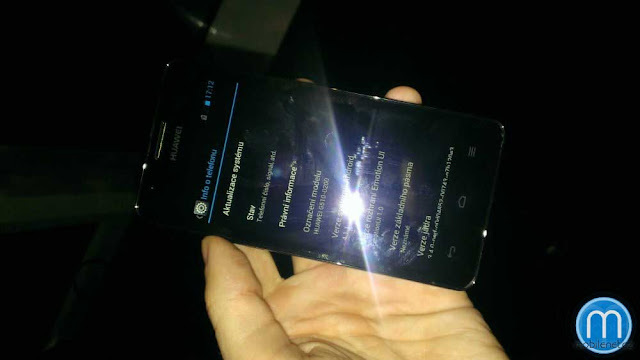 Now the latest report comes with a video proof of a Nexus 4 somewhere in the Czech Republic, which also indicates the Android versions of the phone to be 4.2.2, which should be a slight update to what we have now. The phone gets a video review and size comparison with the Optimus G, but no glaring differences can be observed in the interface, so the update seems to rather be under-the-hood improvements and bug fixes. The Fabula design – it’s simple, yet so wonderfully beautiful. We’ve seen several concepts follow the Fabula theme, and even though they don’t deviate far, it’s enough to look fresh and exciting. This one is particularly delicious. 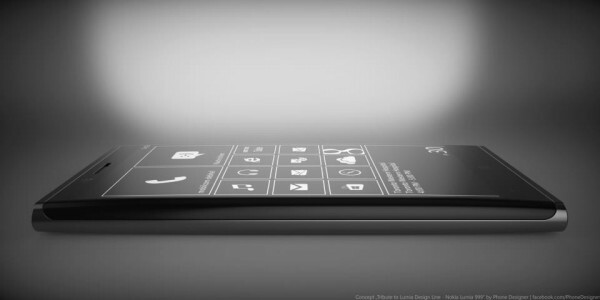 No other details apart from a 4.3″ screen. The hardware buttons are said to be pressure sensitive (not capacitive) but at the same time, it does not push in mechanically. 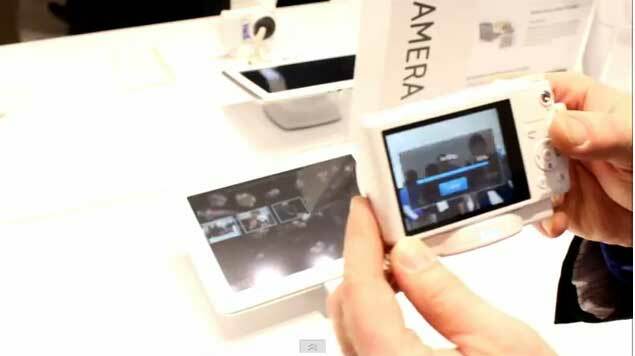 A few days before CES 2013 started in earnest, Samsung launched a new app called Smart Camera 2.0. It brings together features from companion apps for their various Wi-Fi-enabled cameras, including remote viewfinder and photo transfer to a mobile device (either automatically or manually). Only smart cameras made from 2013 onwards will be able to take advantage of the new app, which can be found now in Google Play. 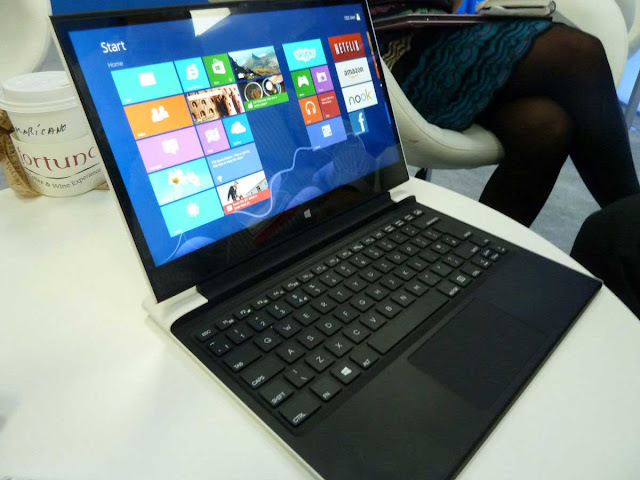 The future of laptops is transformable tablets, according to Intel – which brought its North Cape reference Ultrabook to CES 2013. We got hands-on with North Cape – and although it's only a reference device for Ultrabook manufacturers, to show them Intel's vision for the future of the slimline laptops, it points to an exciting future for the Ultrabook. The North Cape is a Transformer Prime-style tablet and keyboard dock combo, packing Intel's as-yet-unreleased 4th generation core. The tablet's a mere 10mm thick, while the keyboard dock adds a further 7mm. Battery life is a respectable 10 hours for the tablet alone, boosted to 13 hours when it's docked. LAS VEGAS—Wouldn’t it be handy to have a single wireless charging solution for all of your family’s smartphones? That’s the concept behind the new Magnetyze line of cases and wireless charging bases from BuQu Tech, shown here at CES. At least, that's the idea if your home has the Apple iPhone 4 and 4S, and the Samsung Galaxy S III. BuQu Tech says its first products, supporting those devices, are scheduled to ship in the first quarter; iPhone 5 and Galaxy Note II varietals are coming later this year. 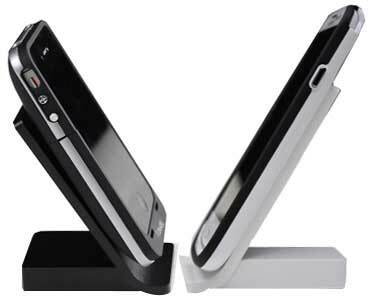 Once you clap a Magnetyze case onto your smartphone, you can charge it and synchronize data with your PC by simply resting the phone on a Magnetyze base. 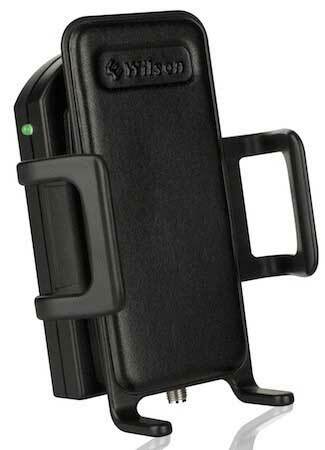 As the system's name implies, the holds the phone securely in place with magnets. The base units come in various forms from a desktop stand ($30), car ($50), and wall ($40) chargers, and a pancake-like flat desktop charging disc ($30). Unlike inductive charging systems that support no real electrical connection between the phone’s battery and the charging unit, the Magnetyze system uses a conductive design, which means that electrical contacts on the base must line up with the contacts on the phone case. This is easily done since the magnets in the base stations pull the phones into position. You can use the same Magnetyze base stations for Android and Apple phones. The standard Magnetize Apple 4/4S starter kit system comes with a case, a magnetic desk stand, a Magnetyze charge/sync cable, and a micro USB cord, priced at $70; the same setup with an extended battery pack costs $90. The standard Magnetyze system for the Galaxy S III comes in two forms: One with a replacement back ($60) and one with a slip-on case ($70). Once the most popular and ubiquitous game in the world, Snake still has a place in people’s hearts. 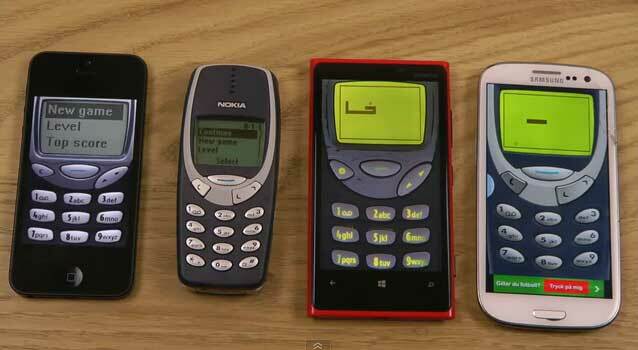 You can see the faux 3210s/3310s on the touch screen devices and of course the genuine 3310. Late last month, we told you about a file found on the BlackBerry 10 Dev Alpha device that displayed pictures and information about BBM video chat with screen sharing. 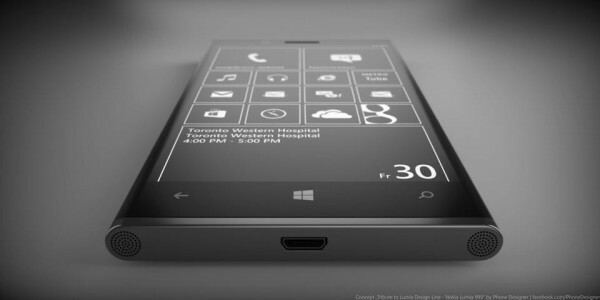 The stakes were raised this morning when further images were taken from the phone handed out to developers by RIM. 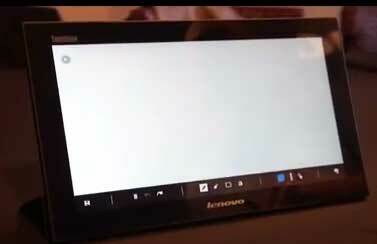 The image seemed to show off a feature called BBM Video with Screen Share and displayed a large picture of a young man while a smaller picture presumably displayed the caller in the lower portion of the screen. 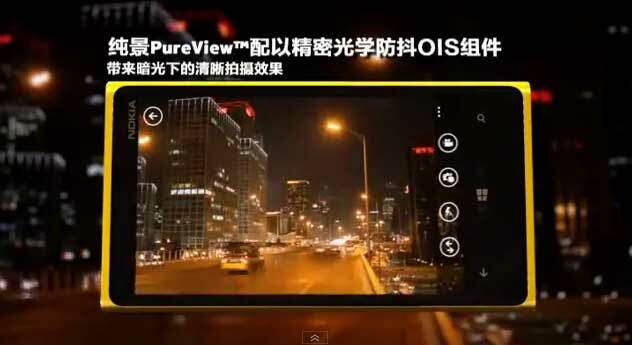 Now, a video has been discovered that shows 7 seconds of the feature in action. Unless RIM decides to pull the feature from BlackBerry 10, it looks like RIM will have joined the video age. 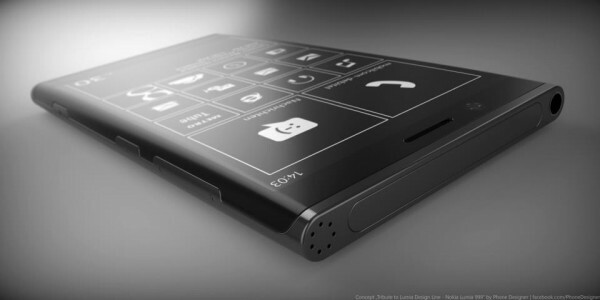 The January 30th introduction of BlackBerry 10 can't come quick enough for many of you. 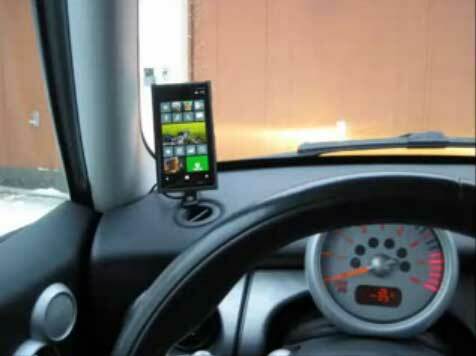 There is a lot of demand for a wireless car charger, and with none on the market at the moment many people are resorting to rolling their own. The latest is J8zzy on YouTube, who uploaded this helpful video showing how he created his in detail. 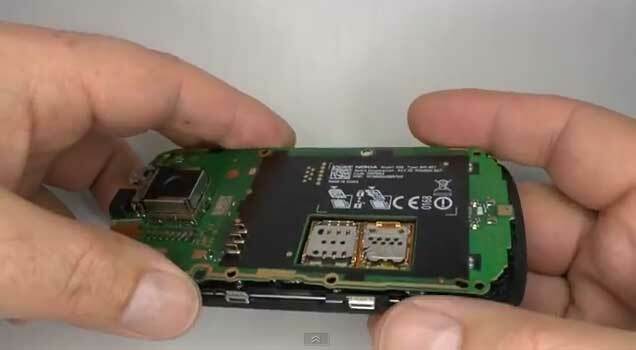 Watch an 11 minute video showing how to disassemble and reassemble the Nokia 808 PureView. Maybe you're the kind of person who needs an external display even on business trips. 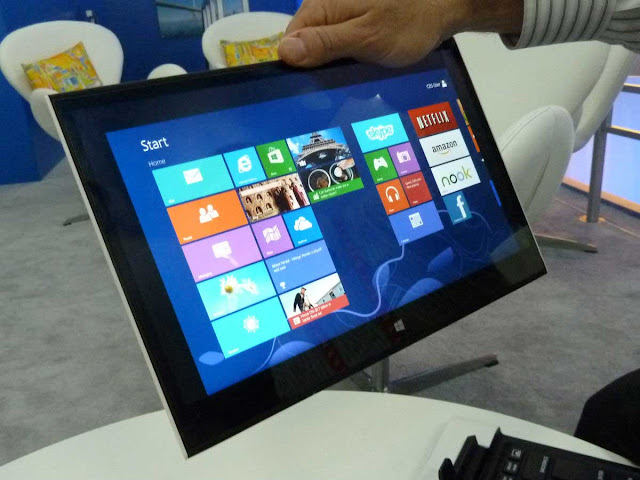 Or maybe you've got a non-touch PC, and getting a touchscreen monitor seems like the best way to jump on the Windows 8 train (you know, as opposed to replacing your PC altogether). Whoever you are, Lenovo's banking on there being more of you out there. The company just announced the ThinkVision LT1423p mobile monitor, a 13.3-inch display that weighs a shade under 1.6 pounds, making it light enough to potentially stuff in your carry-on. Once it ships sometime in Q2, you'll be able to pick it up in wired and wireless versions, meaning you can connect over either USB 3.0 or WiFi. (While the wired one is powered over USB, the wireless model has a 10-hour battery, the same one inside the ThinkPad Tablet 2.) Ether way, you're looking at a 1,600 x 900 AH-IPS, Gorilla Glass panel. The screen supports pen input, too, and comes with a writing implement that registers 256 degrees of pressure sensitivity. Like we said, it'll ship sometime in the second quarter, priced at $349 for the wired version and $449 for the wireless one. The product is a combination of a small receiver that attaches to the side of any display and a stylus designed for safe use on all screen types. Setting up the device is as simple as attaching the sensor to any screen up to 17 inches in size, and using the pen to tap all four corners of the screen. After calibration the sensor can then be removed and replaced without needing to recalibrate. The pen itself is similar in size and weight to a traditional fountain pen, but features a soft bristle tip like that of a paintbrush. In terms of operation the system was largely accurate in registering touches, however there was the occasional hiccup. 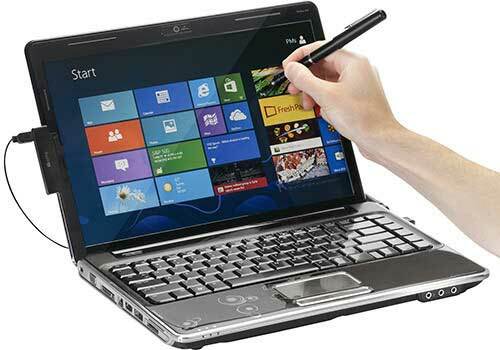 All of the touch gestures built into Windows 8 were demonstrated on a standard laptop that did not feature a touchscreen, showing how the pen can bypass the need to learn additional mouse or key commands. The pen tip is expected to last for three years of usage, but users who wear it out faster will be able to receive a free replacement through Targus' customer service. 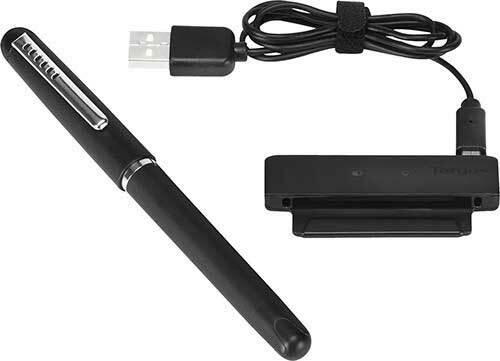 The Touch Pen is expected to be available sometime during Q2 of this year and will carry an MSRP of $100. 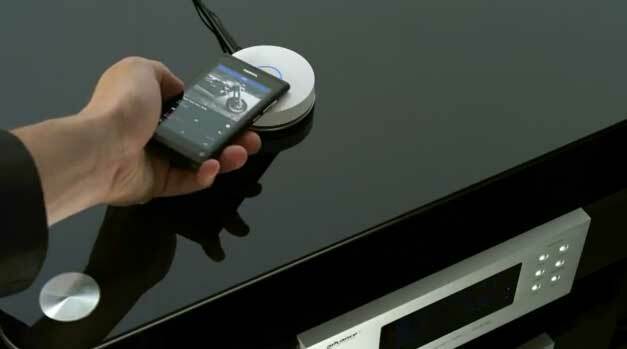 The Nokia Wireless Receiver is a small Bluetooth A2DP receiver which pairs effortlessly with a smartphone using NFC and connects to your big speakers for CD-quality sound. It costs around $50 and John combined it with a wireless charging plate to create a solution at half the cost of the JBL wireless charging speakers but with the same functionality, and of course a lot less obtrusive. 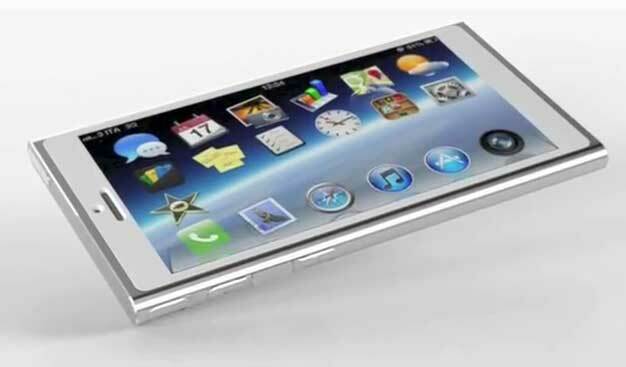 The first iPhone 6 concept has surfaced on video, months before the device’s expected release date, showing off a iPhone design that takes on some iPod nano and Nokia Lumia like qualities in its design. Prior to the release of a new iPhone, graphic designers take it upon themselves to imagine what the next iPhone might look. 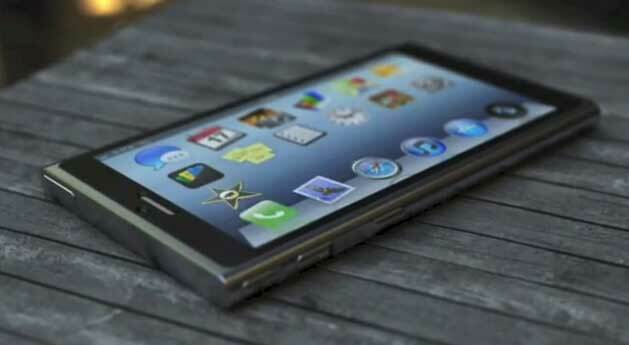 Prior to launch of the iPhone 5, we saw a number of different concepts that emerged depicting iPhones of the future. 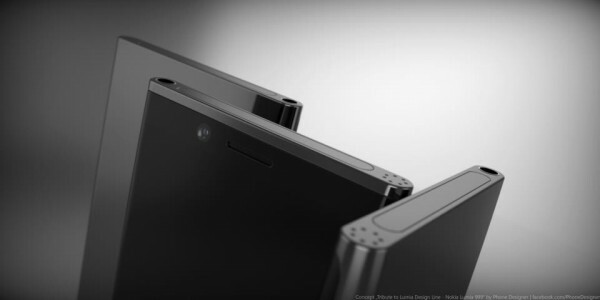 We also we saw a number of renders emerge before its arrival last September, however, those were based on rumors that leaked prior to the device’s arrival at Apple’s annual launch event and not just someone’s imagination. 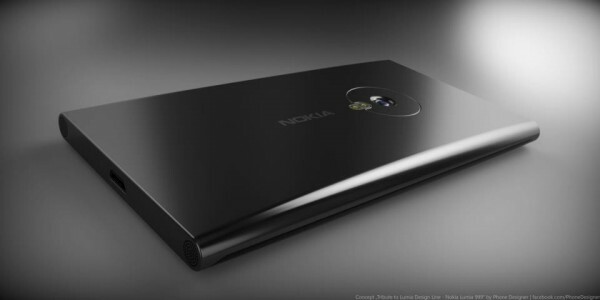 We have complained in the past that some of Nokia’s phone ads are too touchy-feely and do not expound on the features of the phones, which especially does not help feature-laden phones like the Nokia Lumia 920. If you live, work or travel in an area where you just can't get decent 4G signal strength, the Sleek 4G is for you. Manufactured by Wilson Electronics, the booster gives you in excess of 20 times the amount of power delivered by the average smartphone. The Sleek 4G works with the 4G networks on all U.S. carriers except WiMAX. Measuring 2.5 by 4.5 by 2.5 inches and weighing just three ounces, the Sleek 4G uses a one-size-fits all cradle and is sold as a plug and play kit. An optional home kit converts the unit into a booster suitable for home or office use. There is no installation required and the booster is expected to retail for $199.95. With your device safely nestled in the cradle, you can still use Bluetooth and quickly install the booster on a vehicle for hands-free use. The Sleek 4G will be displayed at CES 2013 in Las Vegas and works by taking in weak 4G signals from a roof-mounted antenna, and sending it over a coax cable to the cradle where it is boosted using an amplifier. The signal is then transmitted to the device in the cradle using a built-in antenna. 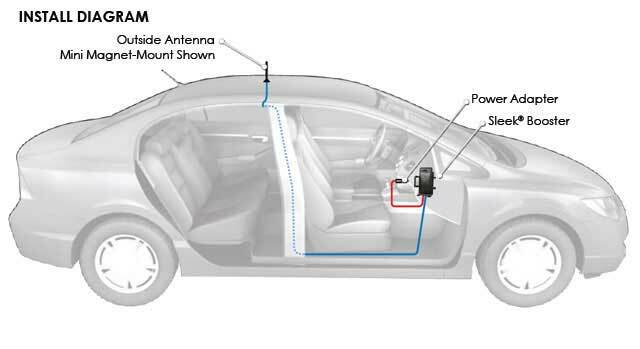 Reversing the process is how a boosted signal is sent from the device to the cell tower. With the Sleek 4G, there is no need to suffer with weak 4G signals, dropped calls, or even "Dead Zones". It also offers faster data transfer rates and can help improve your battery life. For those who travel through lightly populated areas, this booster could literally be a life saver. 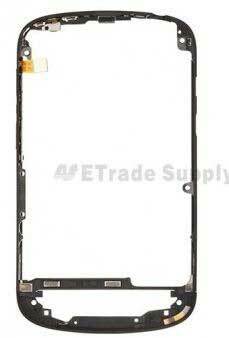 Parts for the BlackBerry X10 and BlackBerry Z10 have been spotted online, and for sale, at ETrade Supply. 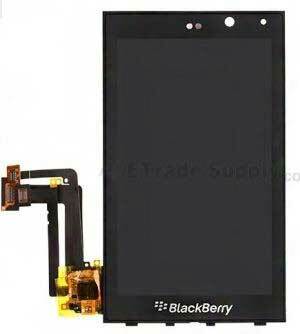 Looking through the parts, it becomes apparent that the last few leaks of the BlackBerry Z10 and the BlackBerry X10 have been genuine. There is one interesting note. While ETrade did call the model with the physical QWERTY keyboard the BlackBerry X10, the model with the virtual QWERTY was called the BlackBerry L10. You can take a look at all of the parts below. Each one is actually available for sale from the sourcelink. We'd rather have a fully assembled model, if you want to know the truth. After the slideshow below, check out a video that shows the parts that we've pictured and how they go together. It's fascinating stuff for the BlackBerry fan and the non-BlackBerry fan alike. Seeing how much Apple and Google have been butting heads over the past few years, the most embarrassing for Apple being its Maps fiasco, you might find it a bit odd for one company to praise the other one at all. But that’s exactly what seems to be going on as Google’s text-to-speech engine has been caught praising the iPad by using the phrase “he now praises the iPad.”The obvious bug can be found using Google Now and Google Translate, as long as you know what to ask. 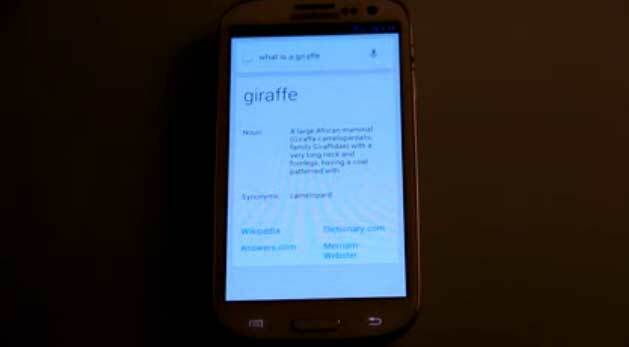 One question that seems to spark Google’s love for the iPad is the question “what is a giraffe?” Another video can be seen where the statement was “Larry Page fell and hit his head so hard with,” to which Google Translate finishes the sentence with the “he now praises the iPad” phrase. It’s unknown right now what exactly is causing the issue for Google’s text-to-speech engine to go completely gaga for Apple’s iPad, but we’re sure Google will be looking into this little hiccup in its system any day now, hopefully to change the praise from the iPad to an Android tablet. 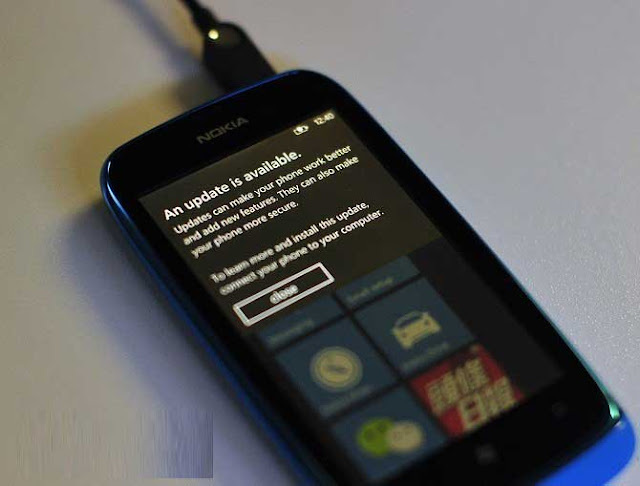 Nokia is already selling the Nokia Lumia 510 with Windows Phone 7.8 pre-installed, and now the Nokia Lumia 610 is joining the brigade, as the video above demonstrates. Of course everyone else is still waiting for the OS to actually roll out to existing users, but as Joe above in the video demonstrates, the OS could possibly do with a bit more polishing before it hits phones already in the market and does what Microsoft promised never to do – slow them down. 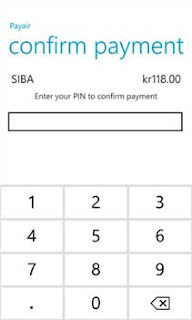 Mobile payment service Payair has brought their app to Windows Phone. 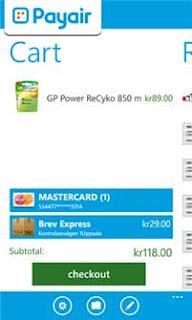 The service simplifies check-out both online and in store, but is at present mainly supported by Swedish stores. 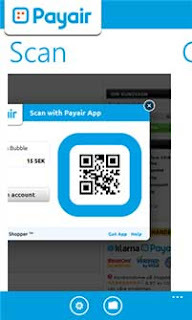 Users register their credit or debit card with the service, and with supported stores simply scan the QRCode associated with a product and enter their PIN to confirm the transaction. Shipping details are automatically entered and receipts generated and organized in the app. Wingadget.se expects the service to soon expand from Sweden to USA and UK also. The Always-On Telephone Club is a project about the future of communication. 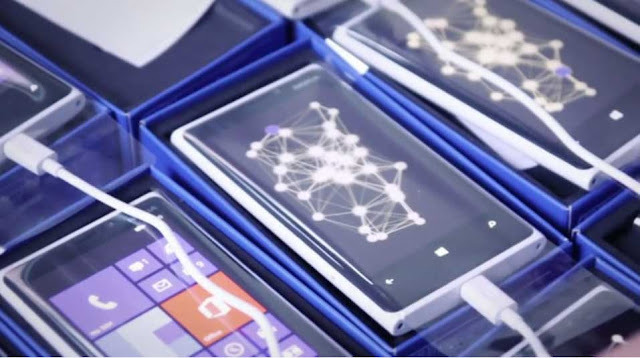 It was commissioned by Nokia UK for Alphalabs, to inspire developers working on the iconic Windows Phone platform.